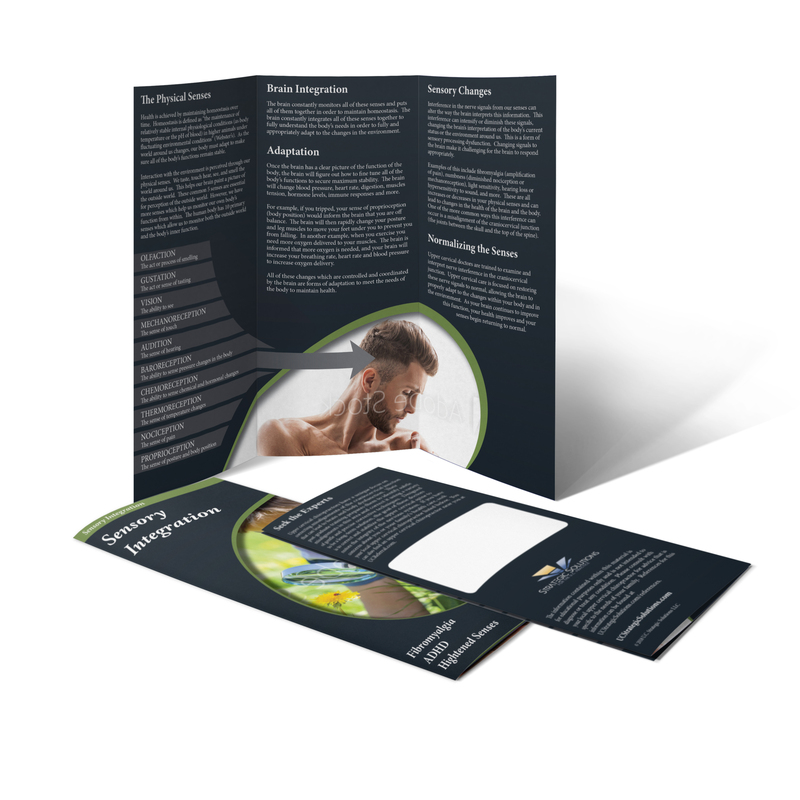 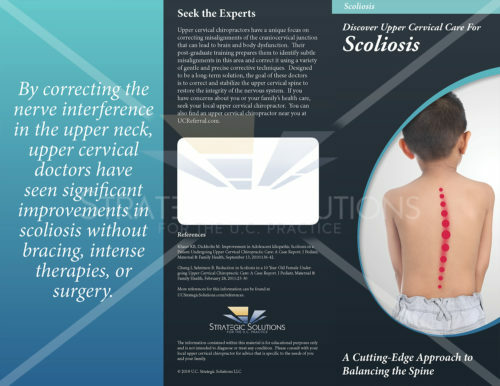 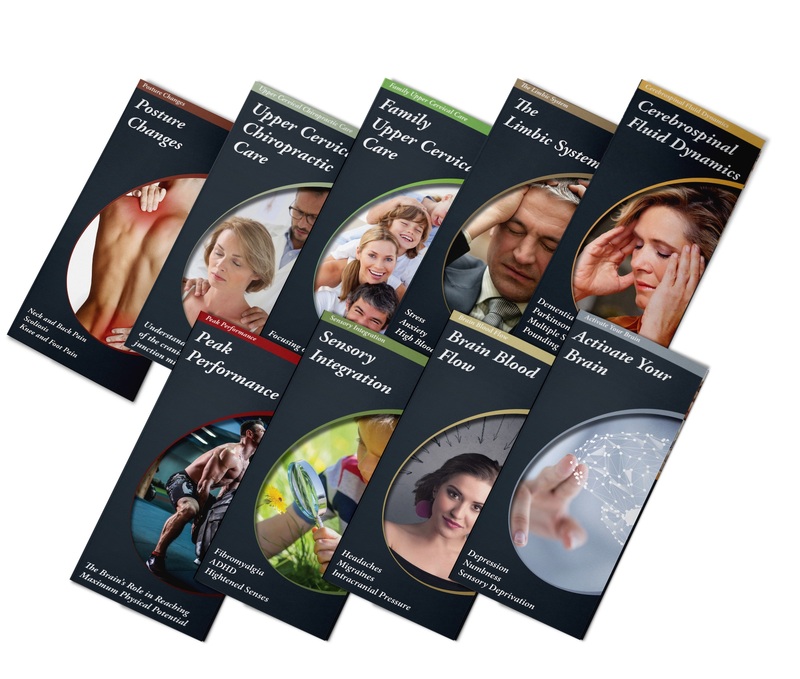 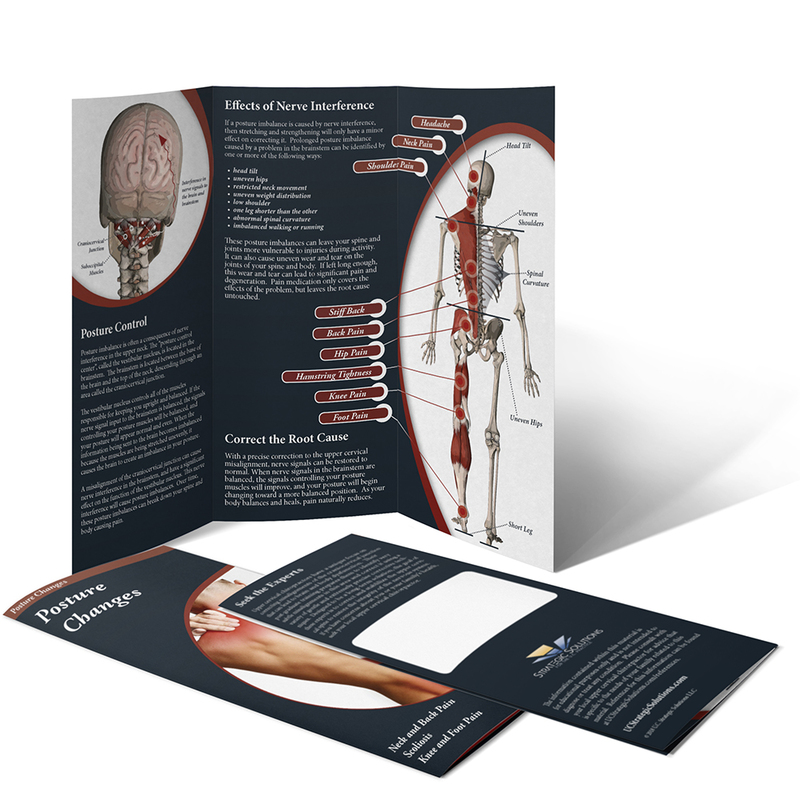 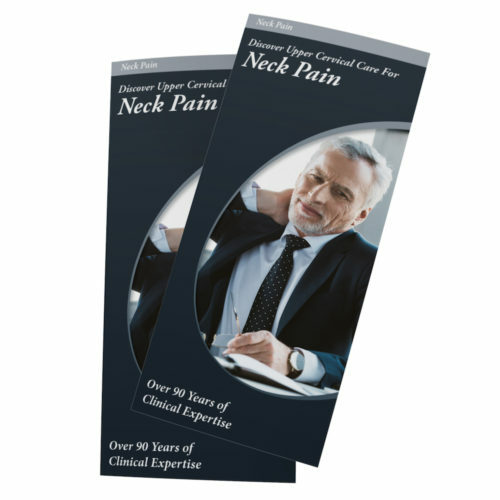 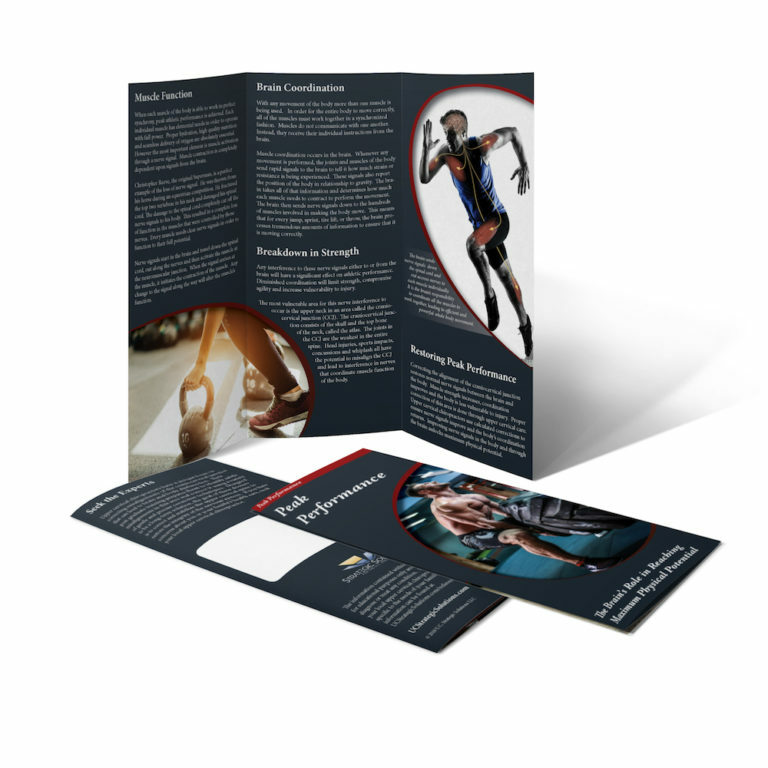 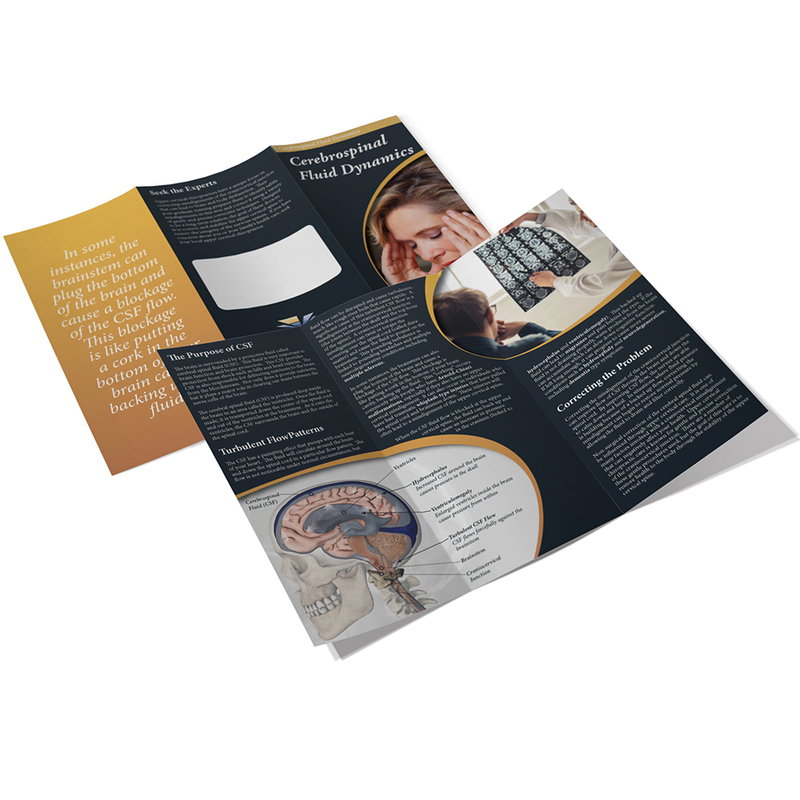 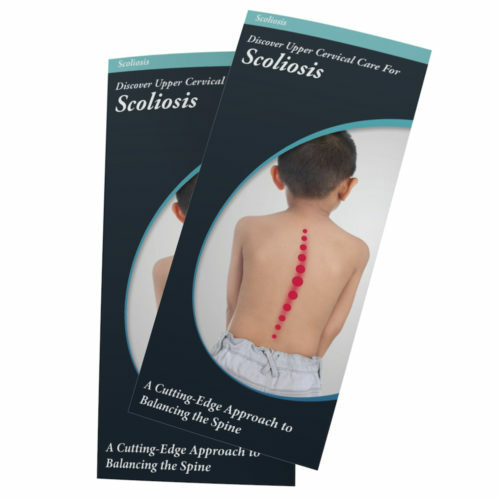 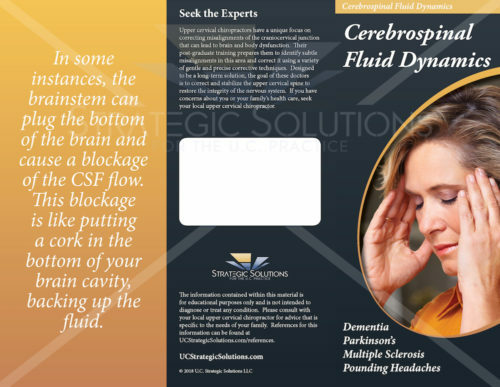 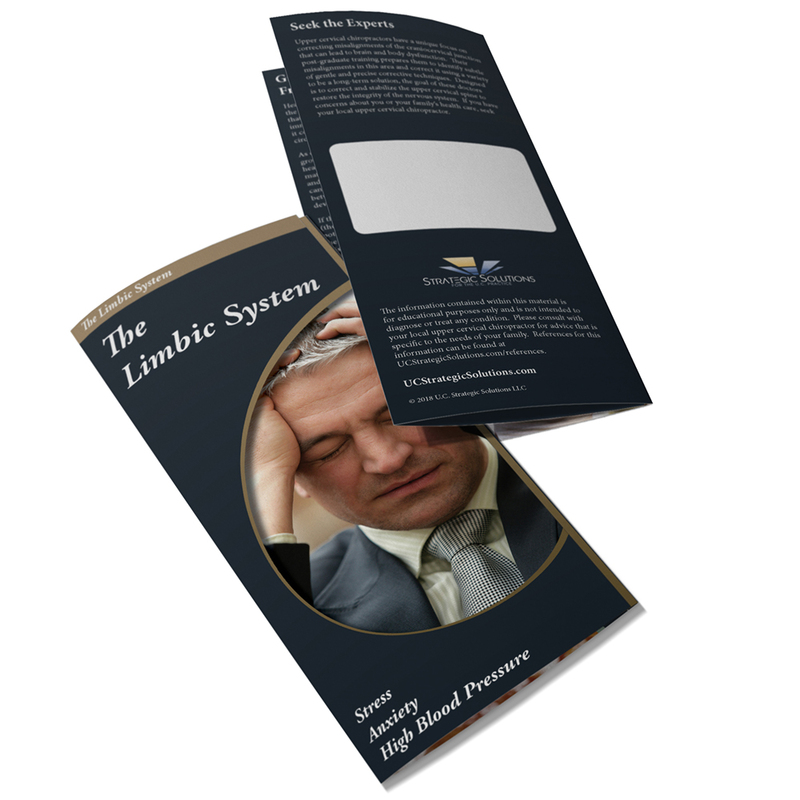 Pack of 50 of each Upper Cervical Trifold brochure with a sharp, inviting design and high resolution colorful graphics depicting the effects of the upper cervical misalignment. 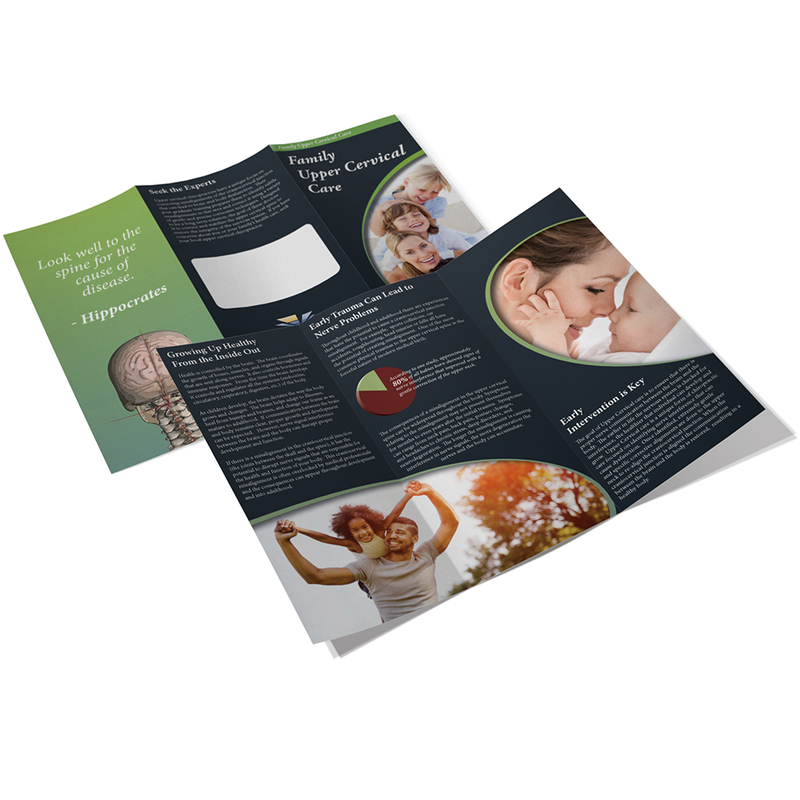 Buying the full Brochure 9-Pack saves you up to 26% per brochure. 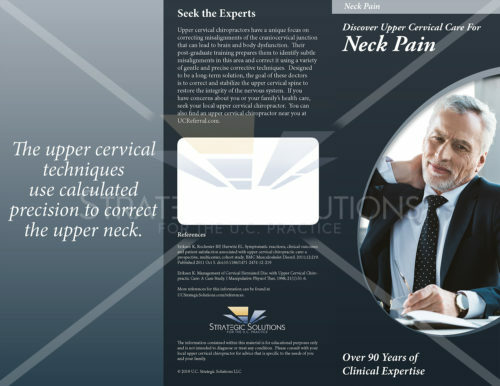 These upper cervical trifold brochures depict different aspects of the upper cervical misalignment. 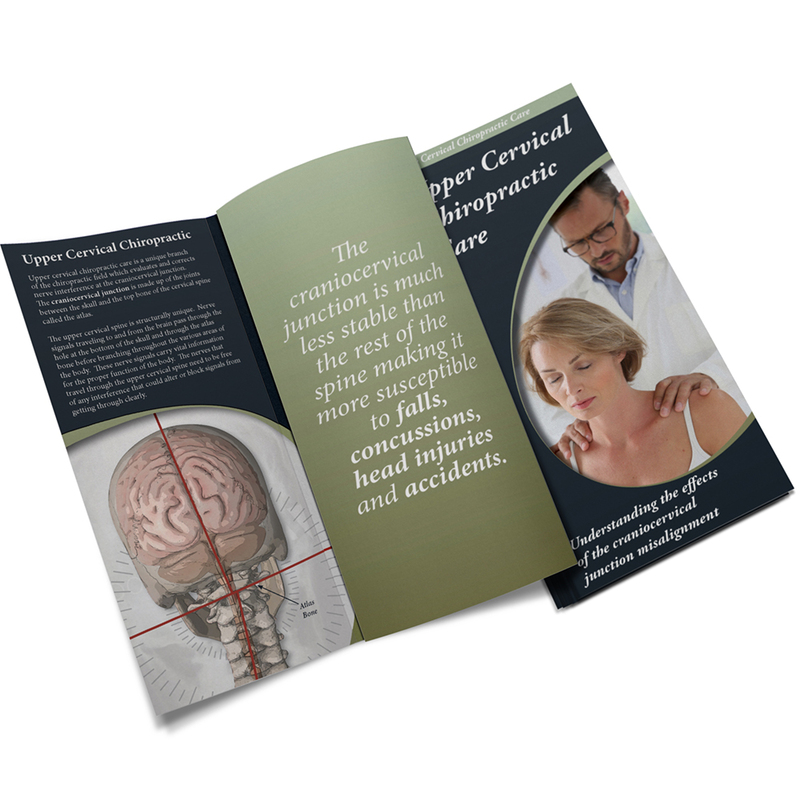 The language is centered around the craniocervical junction and the text describes the causes of various symptoms that people experience.. 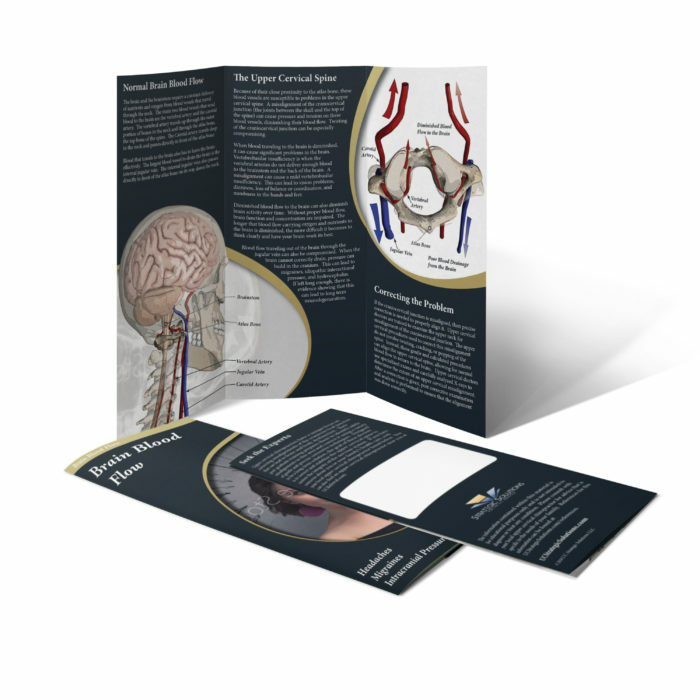 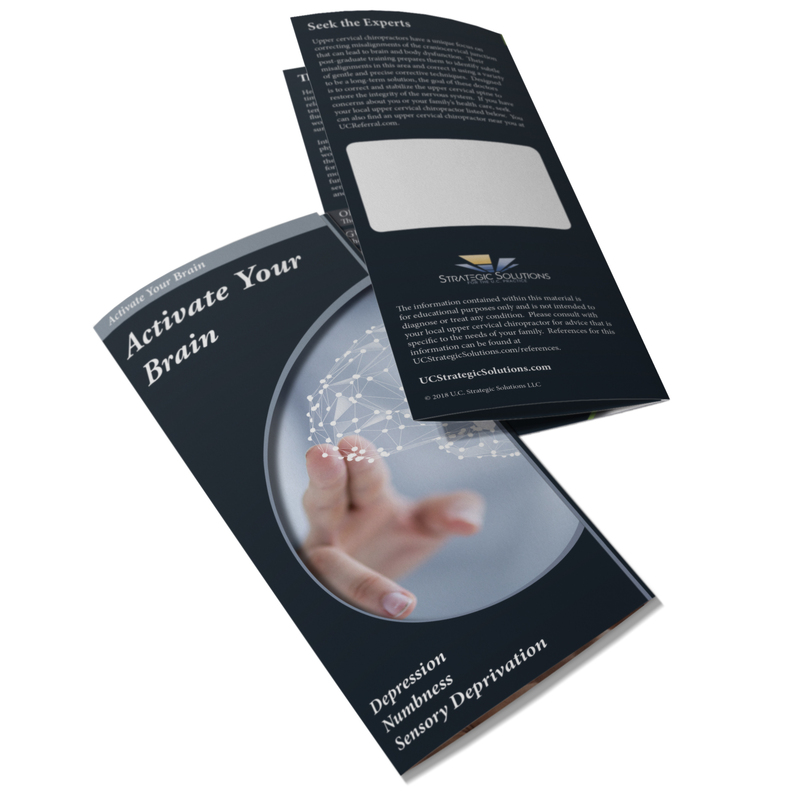 This pack includes 50 of each Upper Cervical Trifold brochure with a sharp, inviting design and high resolution colorful graphics.